Donald Trump should just televise this Bill Clinton speech from 1995 and then simply state "I'm Donald Trump and I approve this message"
You’re gonna like this one! Especially if you are able to understand it. Watch this video to see What's Wrong with Socialism? We’ve read and watched the news of Venezuelan society collapsing under the weight of socialism. But how bad is it really? 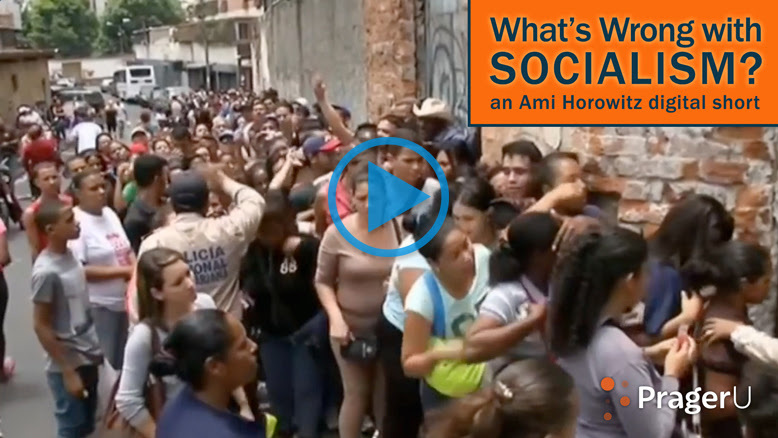 Thanks to documentary filmmaker Ami Horowitz, we can see firsthand the suffering of the Venezuelan people. We’re proud to partner with Ami and bring you this short film of his harrowing trip to Venezuela. Send it to anyone you know who thinks socialism is what America is missing.